The Broadshires Health Centre is a modern purpose-built complex. Opened in March 2001, the health centre has brought together many aspects of primary health care under one roof. There is also a dentist and a pharmacy situated on the same site. Reception is open weekdays 8:00am - 6:30pm Doctors’ surgeries are at varying times during this period. Please note that a normal consultation is 10 minutes' duration and is for ONE person only. 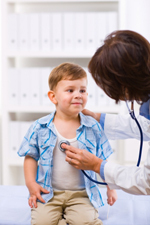 If you require other members of your family to be seen by a doctor, they will require individual appointments.